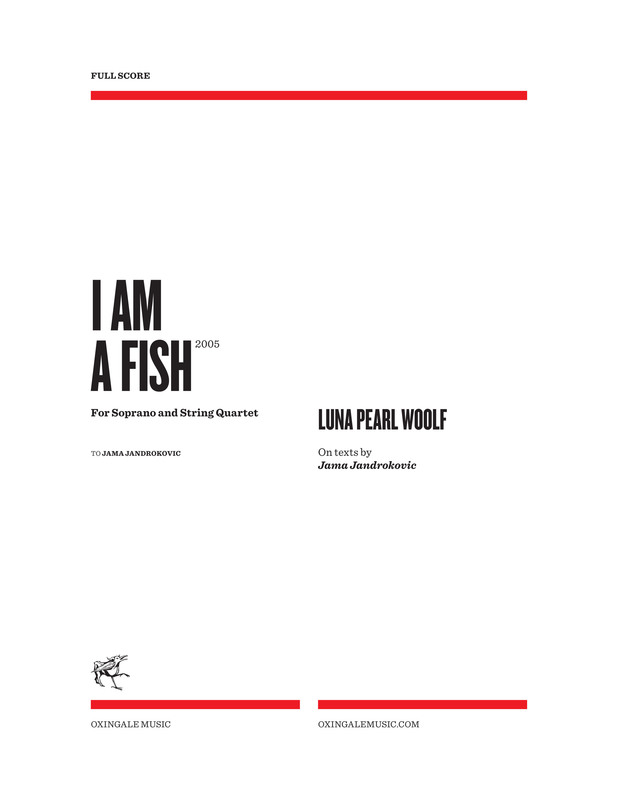 With a nod to that one called Wanda, I am a Fish is a light-hearted, backward glance at a period of sexual liberation in a young woman’s life. 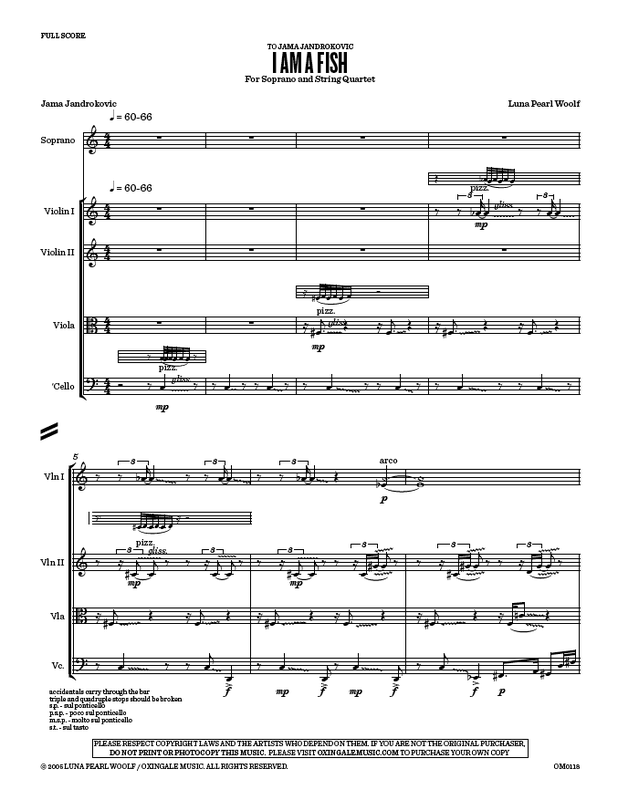 Commissioned by soprano Jama Jandrokovic for her Five Lovers Project in 2005, the work sets three of the texts from Five Lovers: “Lovely in his bones,” “Why I Slept with a 21-year-old boy from South Africa,” and “July, 95 degrees.” These are heard in their entirety, though buffeted and remarked upon by excerpts from the same poems, placed out of context. This entry was posted in Chamber Music, Chamber Music with Cello, Chamber Music with Voice, Luna Pearl Woolf, Vocal Music and tagged cello, five lovers, Jama Jandrokovic, jesse mills, north sky ensemble, soprano, string quartet, viola, violin, Woolf audio clips. Bookmark the permalink.